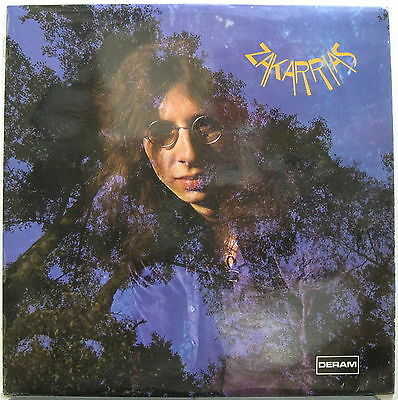 ZAKARRIAS s/t 1971 DERAM UK ORG Progressive Folk PSYCH LP MINTY! MINTY! MINTY! Originalsuper rare 1971Deram Records (SML 1091)LP, laminated sleeveisnear mint condition, only the slightest hint of shelf-wear, a light ring mark (from the disc) along the top on the front, the laminate is clean and scratch-free, a few tiny spots of laminate lift along the spine edge on the front, the back is clean with only super light evidence of dirt, Wherehouse Records $4.96 price tag on the back, disc is BEAUTIFUL near mint condition with one weird spindle mark on Side One only, play-graded near mint as well !! !